The new Moon Shot will be popular with saltwater lure anglers fishing for Sea Bass and other close-to-the-shore species. Built on a slim Shimano Muscle Carbon blank, which has a fast action suited to distance casting and ultra fast hook-ups, this lightweight range is fi tted with Fuji K-type guides, a Fuji reel seat and a split EVA handle. 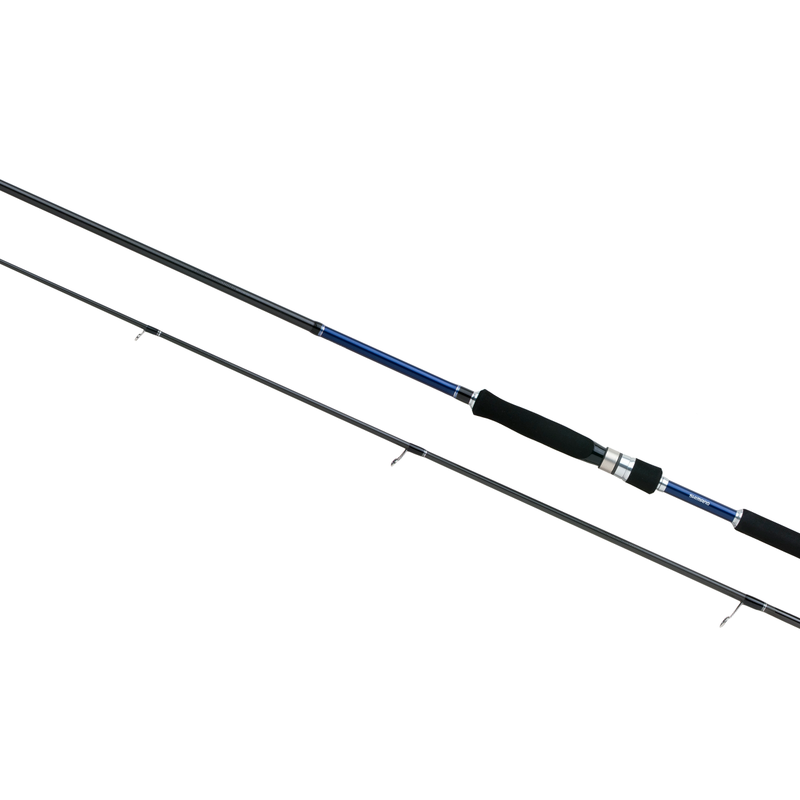 Three models are available, 2.44m and 2.77m with a casting weight of 6-28 and a longer 2.90m model with a heavier 8-42g casting weight.